Lasting, strong infrastructure requires appropriate materials, and for many projects there is but one choice: concrete. Those who understand construction know it is a material not without challenges and effects on the environment. The partnership of Bamburi Cement with the CCCC on the SGR allows us to share the story of a team dedicated to going a step further to protect the natural world beyond our plants. 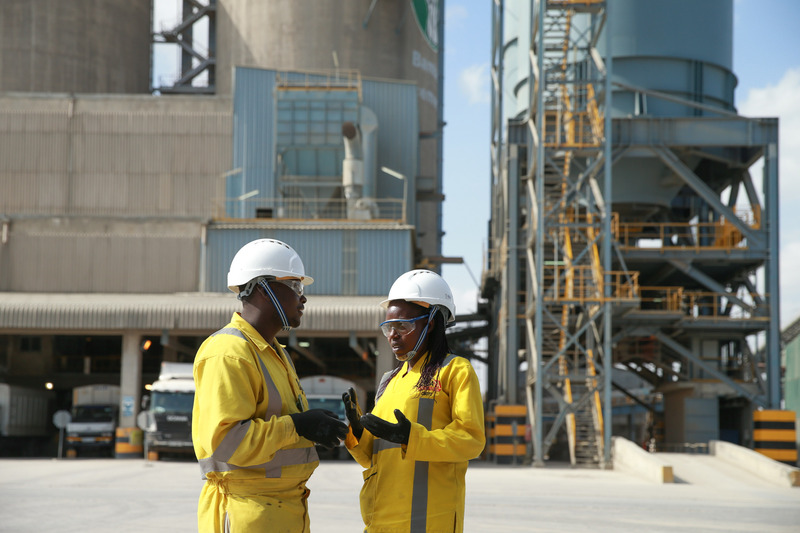 Bamburi Cement and LafargeHolcim are no strangers to environmental concerns in Kenya. Environmental challenges emerge at almost every stage of the cement manufacturing process. The exhausted limestone quarry in Mombasa seemed to be an example of what concrete-making can leave behind. The area just outside the Bamburi plant is within walking distance to the ocean and there was a concern that any more exploitation could risk groundwater pollution. In 1971, hoping to find ways to heal the landscape, Bamburi Cement reached out to René Haller, a Swiss naturalist, to transform the area. Today, the area where this journey took place is not recognizable as a quarry. It is now a nature park teeming with animals, some of which cross and visit the cement plant next door to the extent that plant safety protocols have to account for visiting antelopes. Haller Park has become a popular tourist destination in Mombasa, a testament to the dedicated rehabilitation and conservation efforts of many over nearly 50 years. Today, the area surrounding the quarry has more than 400 species of indigenous trees, shrubs, and lianas. Many of the indigenous species are now reproducing in the restored ecosystems and supporting a diverse animal population, including more than 180 species of birds, 80 species of butterflies, 17 species of dragonflies, 14 amphibian species and 34 different mammals. Haller Park and Forest Trails demonstrate that a dedicated long-term approach to rehabilitation really bears sustainable results. Lafarge Eco Systems Ltd.’s greening of over 600 hectares of land has also contributed to pollution control, helped retain hydrology and provided a renewable source of timber and firewood. No longer a wasteland around a cement operation, the area has been transformed into a thriving and self-sustaining ecosystem.